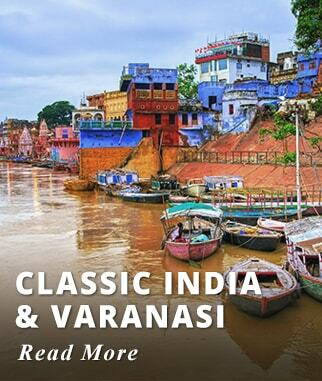 Delicious cuisine, beautiful Mughal architecture, sacred pilgrimage sites and the fascinating bazaars. 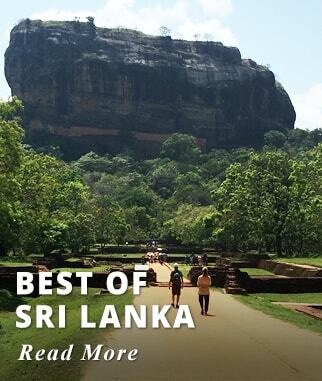 This itinerary includes hand-picked accommodation rated five-star to Luxury, accompanied by expert guides and private drivers. Our Tours include international and domestic flights within India, entrance fees, all transfers and all taxes they are no hidden costs. 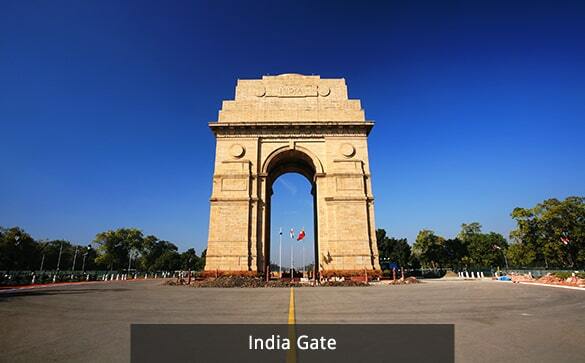 Board your International flight to Delhi; we offer departures from most major Cities in the USA and Canada. Upon arrival in Delhi proceed to clear Customs and Immigration; American and Canadian Passport Holders need a Tourist Visa to enter India; Visa to be obtained online before departure. Upon exit meet our Representative who will assist you with transfer to your Hotel. Delhi is one of India's most colorful and exciting metropolises, where the old and new cities exist harmoniously together. Accommodation: ITC Maurya Delhi Hotel. Upgrade at an extra cost: The Oberoi Gurgaon. Activities included today: Arrival in Delhi. This morning visit Old Delhi, taking a rickshaw ride through the narrow streets of Delhi's bazaar for an incredible insight into the lives of the millions of people who live in the city. 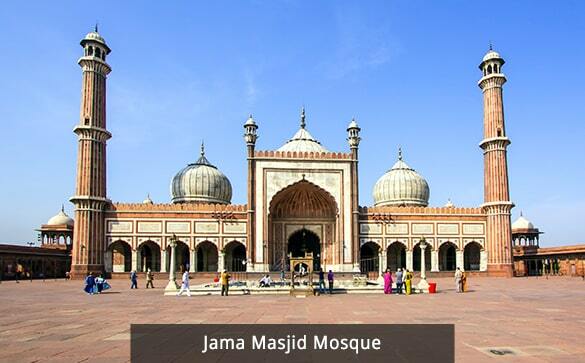 As you travel towards Chandi Chowk, you will be immersed in real India - you visit the Jama Masjid - India's largest mosque, Raj Ghat, a simple but moving memorial to Gandhi, 'the father of the Nation,' and pass Delhi's, Red Fort. 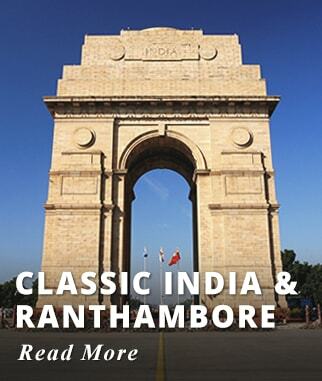 Later embark on a sightseeing tour exploring the wide, leafy avenues and impressive colonial architecture of New Delhi. 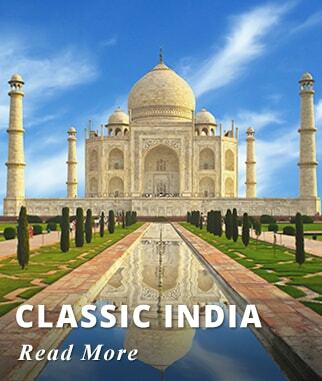 Our tour includes India Gate war memorial, the grandiose Rashtrapati Bhavan, Humayun's Tomb and Qutab Minar, India's tallest stone tower, built in 1199. Activities included today: City Tour of the Old and New Delhi. Early this morning depart by Train to Agra. On arrival, you visit Agra's imposing Red Fort, originating from the 15th century and considered India's most important fortification. Built on a hill above Agra, its centerpiece is a tower with a marble balcony where Mughal Emperor Shah Jahan spent his last days imprisoned. 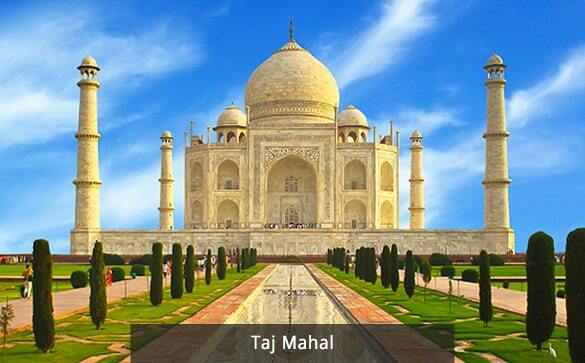 Later you travel across the city to the Taj Mahal, one of the Seven Wonders of the World, to visit this marvelous sight. Built by the Mughal Emperor Shah Jahan in 1653 in memory of his favorite wife Mumtaz Mahal, this iconic white marble building is a true monument to undying love and is the world's finest example of Mughal and Persian architecture. In the evening attend the Mohabbat-e-Taj Show depicting the romantic love story of Emperor Shah Jahan and his beloved wife, Mumtaj Mahal. It is a live show and interpretation is available in English through headphones. Over 80 talented artists will perform this love story along with creative dance performances. Accommodation: ITC Mughal Hotel Agra. Upgrade at an extra cost: The Oberoi Amarvilas. Activities included today: Travel by Train from Delhi to Agra (The Gatimaan Express), upon arrival visit the Red Fort and later the Taj Mahal. In the evening attend the Mohabbat e-Taj Show. After breakfast depart to Agra by chauffer driven car, stopping at Fatehpur Sikri, a perfectly preserved ancient red sandstone city built in the 16th century as India's political capital, but abandoned after only 14 years due to lack of water. Remarkably, the city remains as it was 400 years ago, giving us an excellent insight into how life was at the time of the Mughal Empire. After a guided tour of the empty, ghostly buildings, we continue to Jaipur. Hot Air Balloon Ride Lasting for approximately one hour, a hot air balloon ride is one of the most exciting activities to indulge in Jaipur. Fly over the mighty forts and palaces and enjoy a bird’s eye view of Jaipur as you take this ride. Accommodation: Taj Jai Mahal Palace. Upgrade at an extra cost: The Oberoi Rajvilas Hotel. 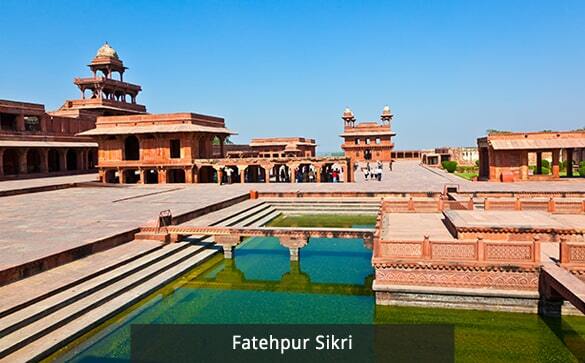 Activities included today: Travel by road from Agra to Jaipur, along the way stop for sightseeing at Fatehpur Sikri. Later begin your tour by driving past the beautiful Jal Mahal water palace, located in the middle of a lake, before heading to the outskirts of Jaipur to visit the Amber Fort. Located high on a hillside, to reach the fort we travel by Jeep or Elephant back. You have the chance to explore some of the ornate rooms within the palace complex before continuing the tour, driving past the Palace of the Winds, a facade built in 1799 so the ladies of the Royal Household could look over the streets below without being seen. Continue your tour to the 'Pink City' with an exciting sightseeing tour that includes the grand and ornately decorated City Palace, home to the current Maharajah of Jaipur, as well as the unique early 18th century, and UNESCO listed Astronomical Observatory and the sights, sounds and smells of colorful Jaipur market. In the evening enjoy a Sound & light show followed by dinner at Royal Heritage 1135 AD restaurant at the Amber Fort. Activities included today: Visit Amber Fort, Panoramic visit of the Palace of the Winds, City Palace and Jaipur Astronomical Observatory. Evening Sound and Light Show with Dinner at Amber Fort. 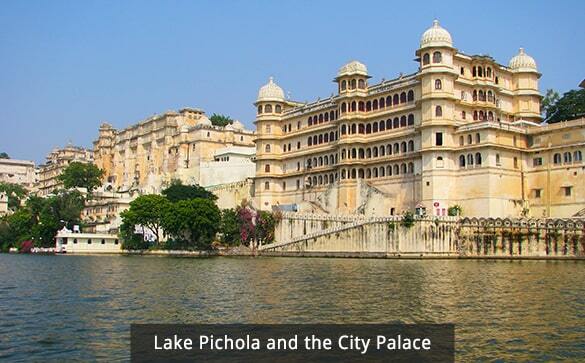 This morning you board a flight to Udaipur, the city of Lakes. Late in the afternoon, enjoy an evening boat ride across Lake Pichola to Jag Mandir - the Indian Royal Family's summer resort. Accommodation: Taj Lake Palace Hotel. 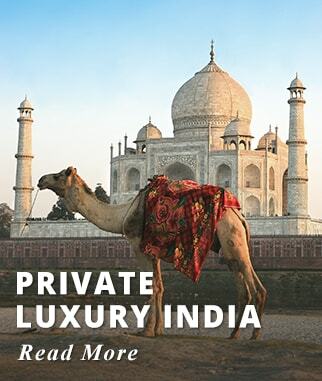 Upgrade at an extra cost: Oberoi Udaivilas. 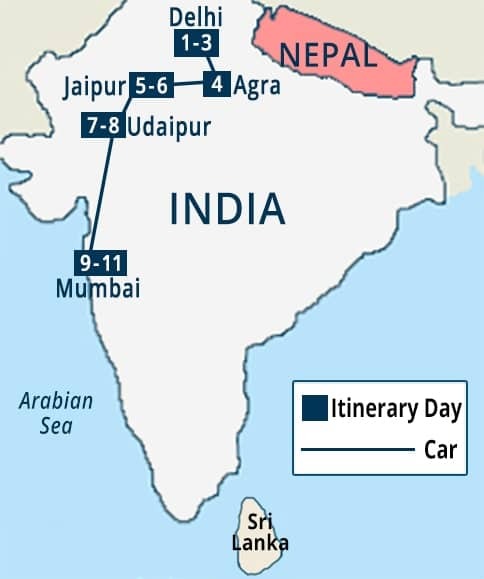 Activities included today: Travel by flight from Jaipur to Udaipur. Visit Jag Mandir Palace. This morning you enjoy a guided tour of Udaipur, set beside the shimmering waters of Lake Pichola, starting at the floating City Palace. This former hunting lodge of the Royal Family is made up of some different palaces, the most impressive of which is the Crystal Palace which features the largest private collection of crystal in the world. You end the tour with a visit to the Hindu Jagdish Temple. Activities included today: Morning Guided Tour of Udaipur and visit the Hindu Jagdish Temple. 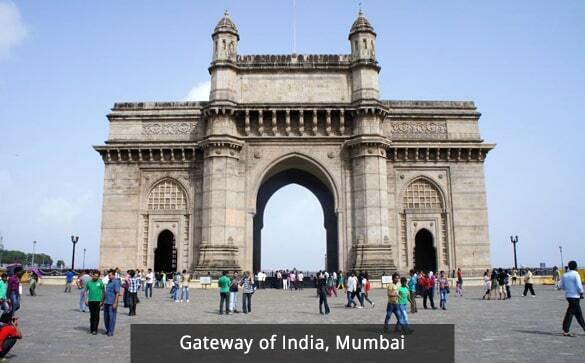 After breakfast fly to Mumbai where you take a sightseeing tour of the city. Amongst the attractions of Mumbai, you discover Dhobi Ghat, the historic Gateway of India and Mani Bhawan, the former home of Gandhi, before visiting the pleasant Hanging Gardens of Mumbai on Malabar Hill, which date back to 1880. Upgrade at an extra cost: The Oberoi Mumbai. 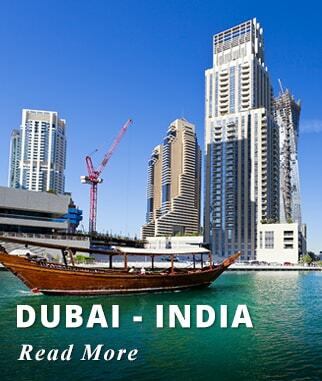 Activities included today: Travel by flight from Udaipur to Mumbai, Upon arrival, enjoy a Mumbai City Tour. Today you visit the Elephanta Caves, a UNESCO World Heritage site located on Elephanta Island. There are two depictions at the top of the island - one Hindu, displaying delicate sculptures of Shiva, and one Buddhist. Both have been dated back to between the 5th and 8th centuries and celebrate the rich and varied cultures of the region. Later visit the Prince of Wales Museum. Activities included today: Visit the Elephanta Caves and the Prince of Wales Museum. Our Representative will assist you with transfer to the Airport. Tour Ends. International flights, and Domestic flights within India; we offer departures from most major Cities in the USA and Canada. Two nights of accommodation in Delhi, at the ITC Maurya Hotel. One night accommodation in Agra, at the ITC Mughal Hotel. Two nights of accommodation in Jaipur, at the Taj Jai Mahal Palace Hotel. 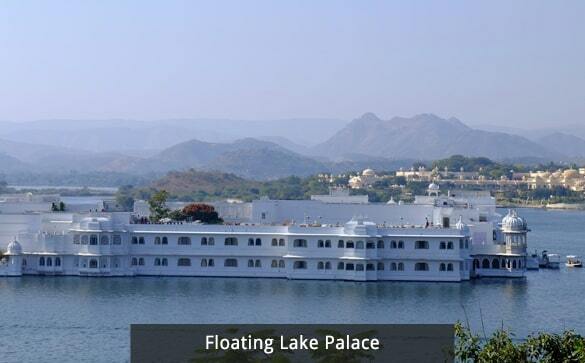 Two nights of accommodation in Udaipur, at the Taj Lake Palace Hotel. Two nights of accommodation in Mumbai at the Taj Mahal Hotel. Delhi City Tour, explore the Old and New Delhi. Cycle Rickshaw ride in the local Bazaar in Delhi. 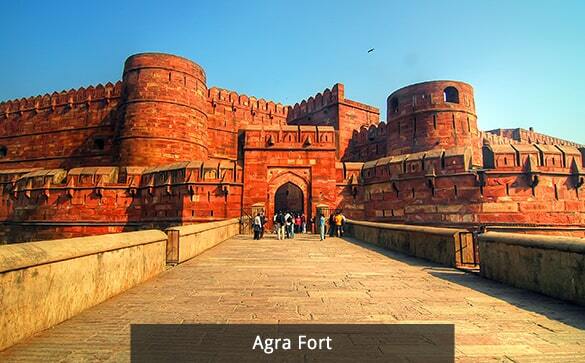 Visit the Agra Red Fort. 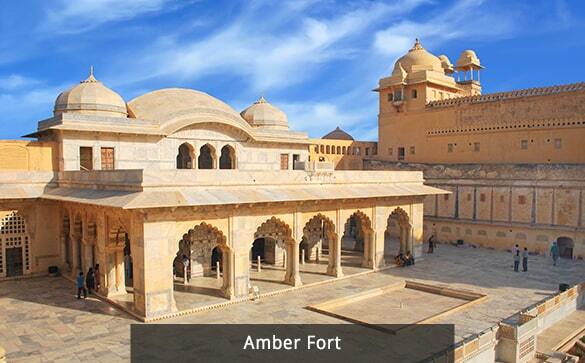 Visit the Amber Fort in Jaipur. Photo Stop by the Hawa Mahal also known as the Palace of Winds Jaipur. Cycle Rickshaw Ride at the local Bazaar in Jaipur. 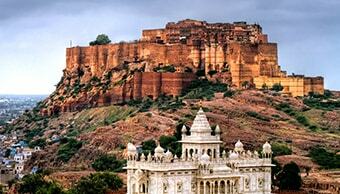 Visit the Jaigarh Fort Jaipur. 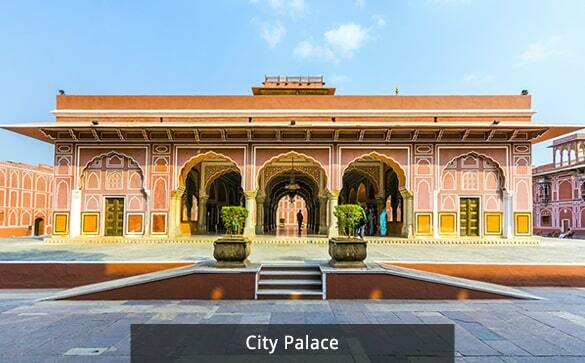 Visit the Maharaja's Jaipur City Palace. 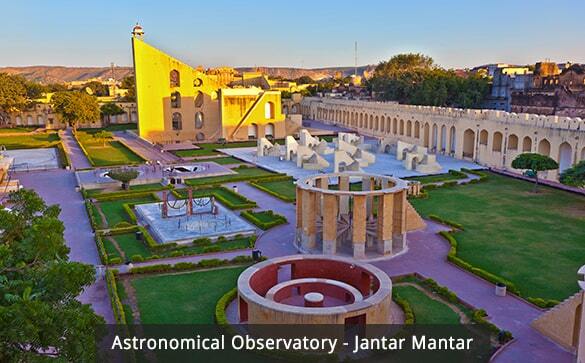 Visit Jantar Mantar Jaipur's open-air astronomical observatory. 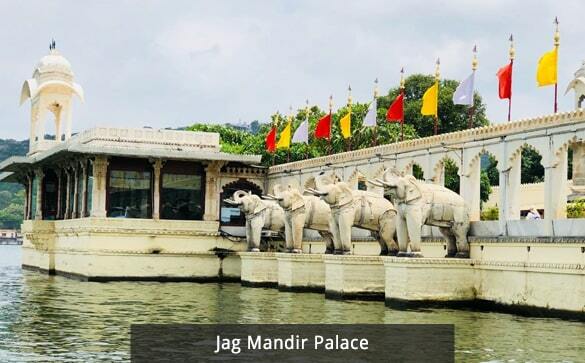 Visit Jag Mandir Palace in Udaipur. 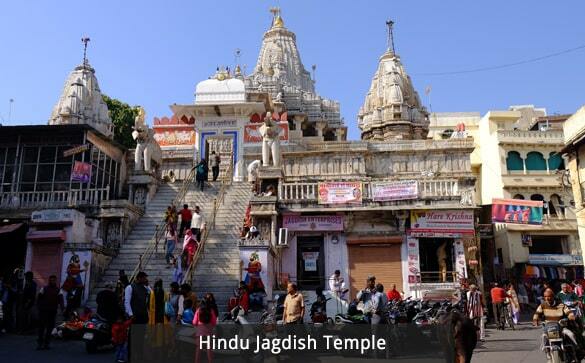 Visit The Hindu Jagdish Temple in Udaipur. 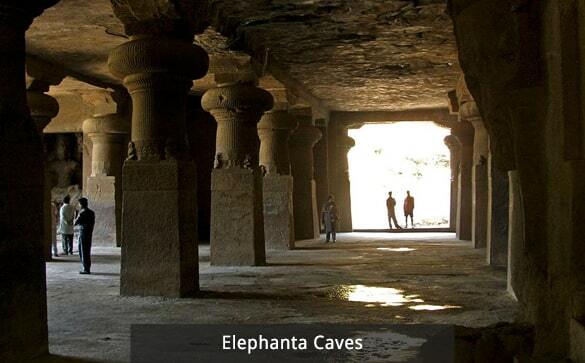 Visit the Elephanta Caves in Mumbai. Visit the Prince of Wales Museum. All Sightseeing accompanied by a Private Guide. Customary tips for Driver, Guides, Hotel staff, etc. 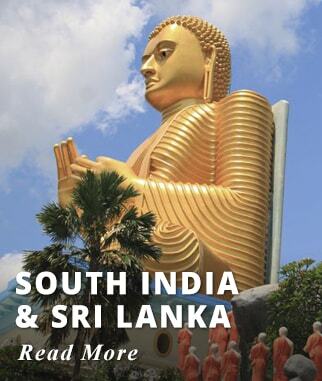 All optional tours detailed on the itinerary. 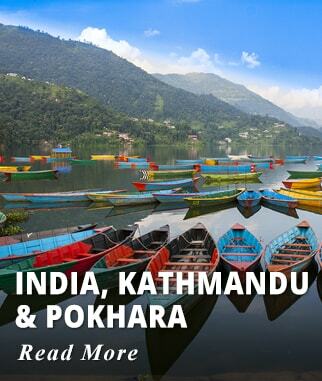 Sights and experiences that will last a lifetime and changed our opinion of India and Nepal! We want to thank you for the absolutely marvelous tour of India, Kathmandu and Pokhara that you planned for us this past June. 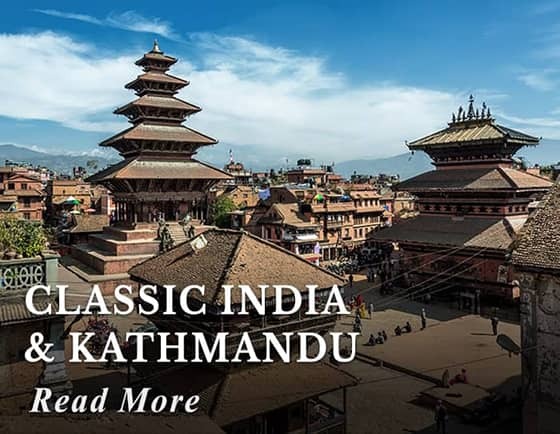 We originally had some misgivings concerning travelling to India and Nepal due to articles that we had read describing crowded streets, air pollution, digestive disorders and questionable vendor activities. What we experienced were sights and experiences that will last a lifetime and changed our opinion of India and Nepal. We met very courteous, knowledgeable and professional people such as our travel guides and drivers. We saw lush green cities with clear blue skies such as Delhi. We ate delicious food and drank Marsala tea. We enjoyed bargaining with vendors that offered delightful selections of crafts, jewelry and clothing that will bring us fond memories of our trip. 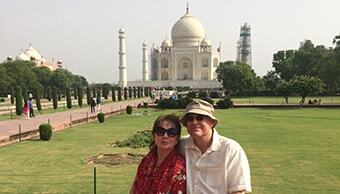 The hotels were great and the Taj was over the top. 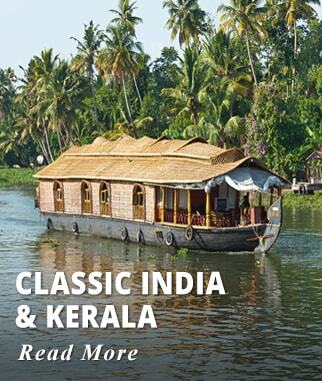 It was a wonderful glimpse of this part of India and although we came down with a brief bit of "Deli Belly", our recollections of the elephants, the cows, the camels, the traffic and the forts and antiquities will remain near the top of our experiences. 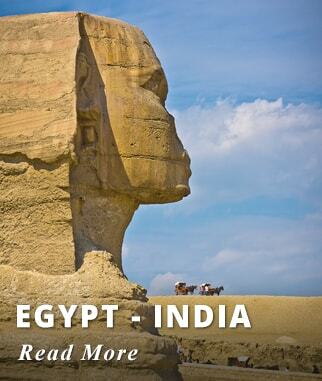 Our driver wants us to visit him near the north border of India and the Himalayas. 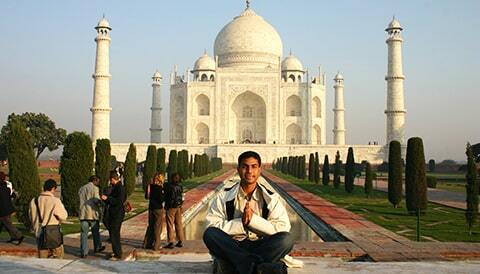 What an incredible India trip! We are back from India. Everything but especially the service was second to nothing we have ever experienced. We are thinking about China next year. What do you have for us?